East Tennessee has a rich legacy as the birthplace of country music (i.e. the Carter Family) and the home to many a country music stars, most notably Dolly Parton. Chet Atkins and Kenney Chesney, who both hail from these parts, are also country music legends in their own right. In addition to country music, blues musician Bessie Smith claims roots in the area and many more modern day actors, musicians and entertainers call East Tennessee home. One of the most famous modern day stars, Johnny Knoxville, in fact takes his stage name from his birth city, Knoxville. 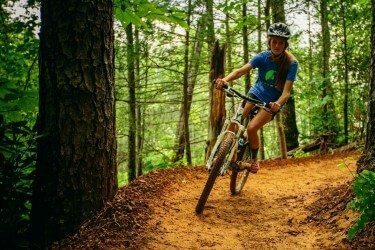 Visitors to the Great Smoky Mountain area have a chance to pay homage to these entertainment roots and celebrate the rich history of talent birthed in and around these mountains. Vacationers have numerous choices when deciding on the perfect performance to suit their fancy. From a southern family dinner show to a Motown tribute to an interactive comedy hypnosis performance, there is truly something for everyone. Visitors to the area will delight in their options of music, dinner theatre, magic, comedy, variety shows and more. For those that like to be serenaded while they dine, The Grand Majestic Theater offers the best in dining and entertainment. Recently relocated, this large theater is now home to 5 unique shows that provide vacationers with a variety of musical and entertainment choices. The “Soul of Motown” and “America’s Hit Parade” are currently among the most popular musical shows in the area, and a family fun show that appeals to all ages, “The Smith Family Show,” has been named “Best Show in the Smokies” seven times running. Taking you back in time to the music that defined a generation, Soul of Motown, is currently ranked as the #1 Attraction by Trip Advisor “Things to Do” in Pigeon Forge. 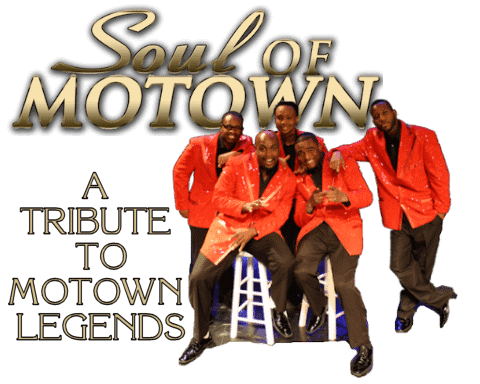 Soul of Motown is a tribute to some of the finest, most popular Motown Acts of all time. This show honors the true Motown legends featuring songs by The Drifters, The Platters, Sam Cooke, Smokey Robinson, Jackson 5, Marvin Gaye, Stevie Wonder, The Four Tops, The Temptations and much more. In addition to the male Motown acts, the ladies of Soul are not forgotten. This show also includes female tribute acts with songs by like Aretha Franklin, Gladys Knight and the Pips, Diana Ross and the Supremes. Soul of Motown has been a huge hit with many rave reviews that applaud its strong vocalists, vibrant costumes, talented singers, dancers, and entertainer showmanship. Audiences have become so enamored and involved they are known dance in their seat and sing-a- long. For music lovers that enjoy all types of music across genres and spanning a larger amount of time, America’s Hit Parade is also great entertainment choice. This popular show takes the audience through the greatest hits of the decades starting in the 1950s to present day. Like Soul of Motown, this high-energy show has been known to have the audience singing and itching to dance in the aisles to some of the greatest musical hits of all time. This show is perfect for all ages, and even includes a special military tribute to honor the men and women who served in the United States Armed Forces. Truly a family affair, this dinner show is hosted by Charlie, Bob and Jill Smith is a variety show of music and comedy. Winner of “Best Show in the Smokies,” The Smith Family Show includes a wonderful array of country music and gospel songs, oldies, rock n’roll, and some fun impersonations and fun family comedy. This family dinner show, this show includes a southern style family buffet. Winner of 2014 “Best Show” Smoky Mountain Opry is the largest variety show in the Gatlinburg/Pigeon Forge area. This spectacular showcase is designed to keep audience member’s eyes popping, hands gripping the edge of your seat, and brain swirling. Known as “America’s Ultimate Variety Show,” the Smoky Mountain Opry keeps audiences keeps enthralled and eager for more. 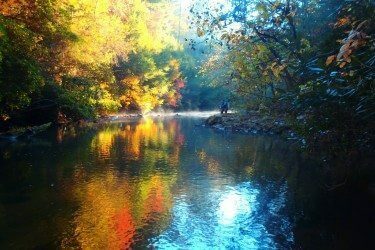 The Smoky Mountain Opry, is sure have something spectacular to wow everyone in your group. This show’s incredible lineup includes: talented vocalists, dancers, comedians, magicians, jugglers and incredible aerialists. 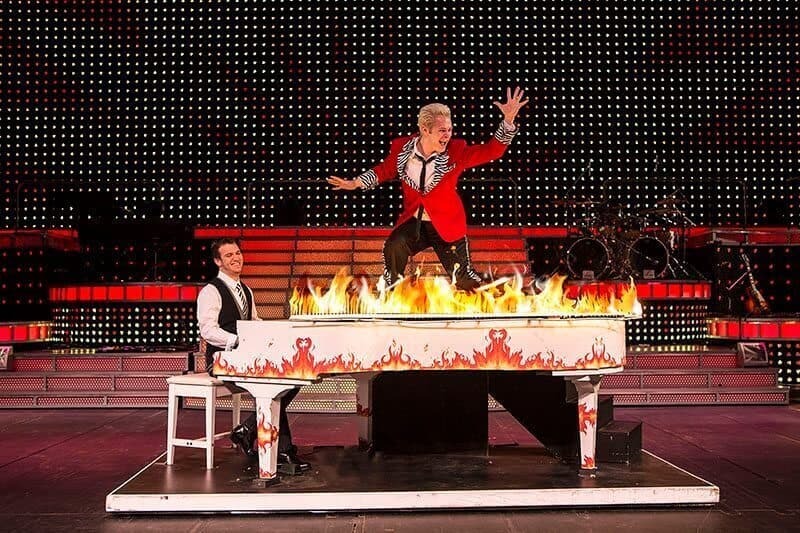 The Smoky Mountain Opry intensifies each performance with superior special effects such as lasers, pyrotechnics, performers that fly overhead, giant video screens, concert quality lighting and more. Guests to this show will enjoy music that spans all decades and genres from Big Band Swing, to Movie Favorites. 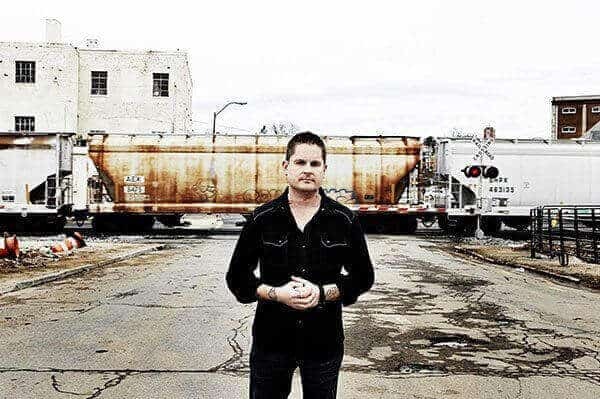 The audience will enjoy and recognize many classic songs from legends like Frank Sinatra, Kenny Loggins, Carrie Underwood, Garth Brooks, Stevie Wonder, Janis Joplin, The Beatles, Etta James, George Jones, and many more. If that’s not enough, there’s even lions and tigers in this sensational performance. Don’t miss your chance to see Tsimba-Vaati” one of only 300 white lions in existence today! Dolly Parton is known for her showmanship, voice, and success as an entertainer worldwide. 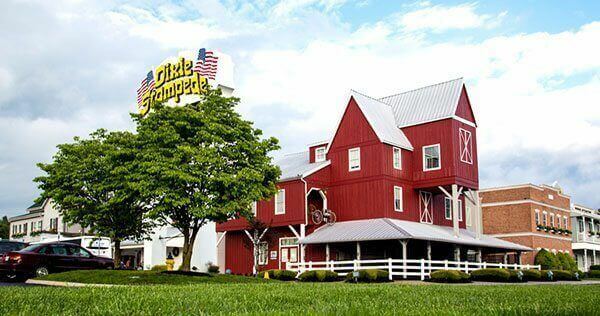 In addition to her Theme Park Dollywood, the Dixie Stampede is another extension of Dolly’s roots in the talent that abounds in the Appalachian region of the Gatlinburg Pigeon Forge area. This dinner theatre has long been favorite family event for vacationers to the Great Smoky Mountains. While guests dine on a hearty four-course meal complete with dessert (vegetarian options are available), they will enjoy an exhilarating showcase of incredible horse-riding stunts, dance and singing performances, musical numbers. This grand dinner showcase includes adrenaline pumping horse races through a ring-of-fire, dramatic lighting effects, incredible sounds and exciting pyrotechnics. 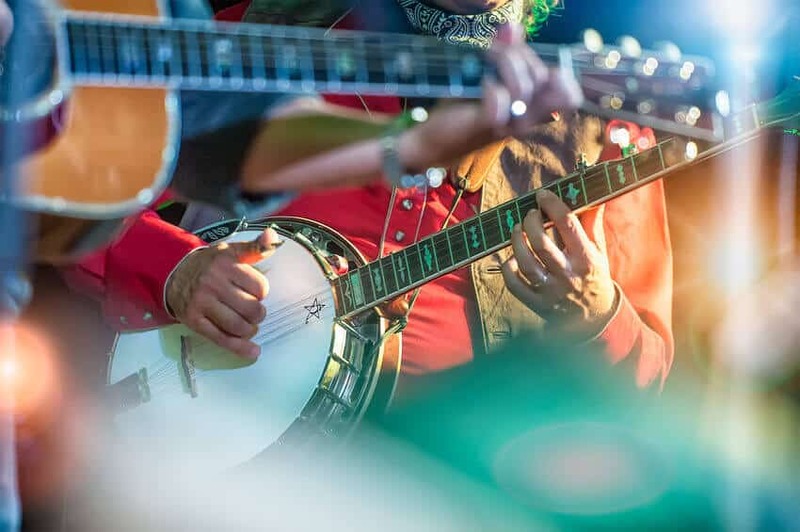 Admission also includes a pre-show in the Bell Saloon features the Bluegrass Band and comedy act Mountain Rukus. The real stars of the Dixie Stampede are its 32 extraordinary horses. These horses are pampered and looked out for with the utmost care. In fact he Dixie Stampede horses use approximately 1,152 shoes each year, that’s 36 shoes per horse each year. Guest to the Dixie Stampede can applaud these stars up close by visiting in the open-air horse market before the performance or meet them and their raiders after the performance at the edge of the arena stage. If you like to play mind games or rather watch as others have their mind’s probed and bent, Mentalist: Bill Gladwell’s Headcase is a show not to miss. Bill’s Gladwell’s “Head Case: Psychological Illusion Show” has consistently been described as sophisticated and thought provoking. In the show Bill uses his own psychic ability, magic, skills as hypnotist, and psychology directed awareness to influence people’s thoughts and actions. Bill specializes in reading the unconscious signs of what a person is thinking, and Bill professes to be able to manipulate their decision-making process. Some people might claim that Bill possesses the illustrious sixth sense, you will have to see the show to form your own opinion, or will your mind be manipulated to believe it is so? Gatlinburg Mentalist: Bill Gladwell "Headcase: Psychological Illusion Show"